Fantastic Media has been selected for a range of marketing services by SmartSearch, the online provider of anti-money laundering services. Following its strategic review of the company, the Leeds-based agency has been tasked with delivering a complete brand refresh, new website, increased mobile presence, improved social media activity and event management. Richard Jones, head of Fantastic Media's mobile division, said: “We’re delighted that SmartSearch have chosen to work with Fantastic Media to develop their unique anti-money laundering solutions. "The company has huge potential given the growing importance of anti-money laundering and fraud prevention in key business sectors. We look forward to helping deliver considerable growth for the company over the next 24 months." John Dobson, chief executive of SmartSearch, added: “Many companies would have helped us to design a new logo but we wanted much more than that which is why we have chosen to work with Fantastic Media. "SmartSearch has always recognised the importance of letting the right people know about our innovative anti-money laundering solutions and this partnership will ensure we have the right strategy to do that and grow the business." 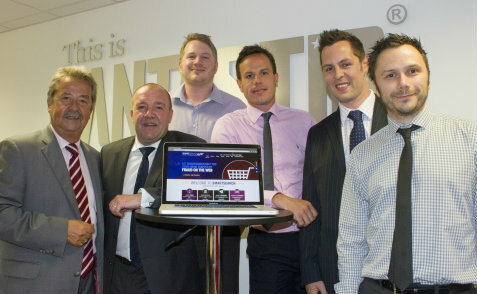 Fantastic set up its mobile division in April and has also recently been appointed by tile retailer Travetine Direct.